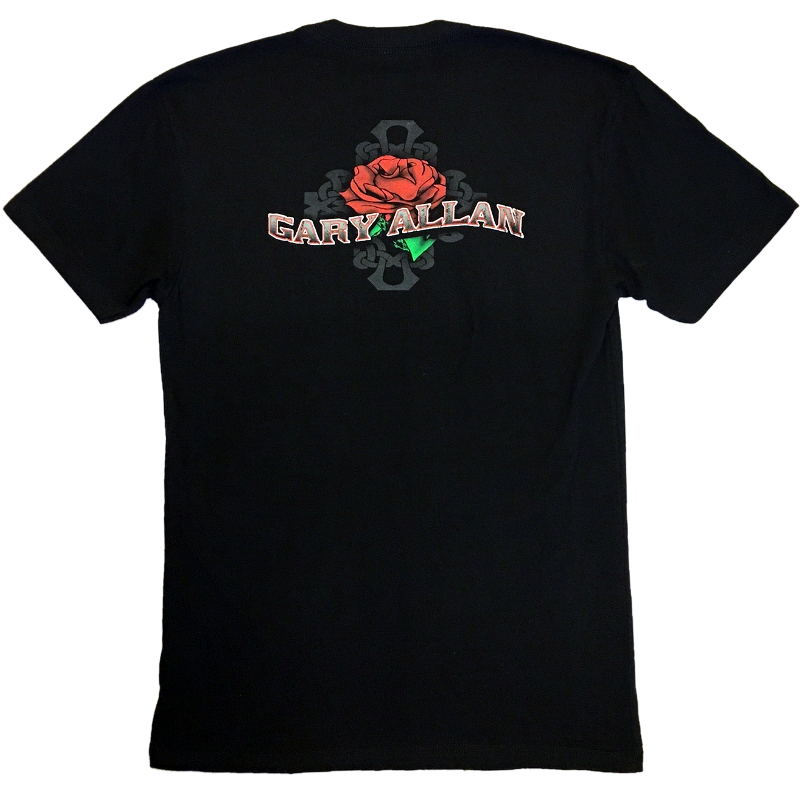 Gary Allan classic skelton and roses tee! Unisex 100% cotton black tee. 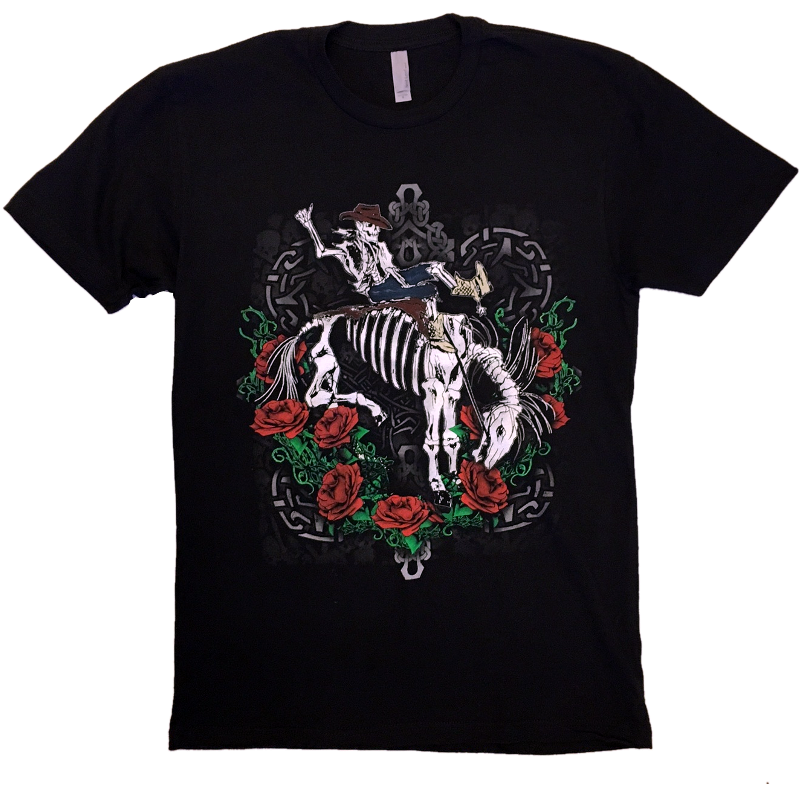 Gary Allan buckin bronc with skeleton and roses design on the front and rose logo on the back.